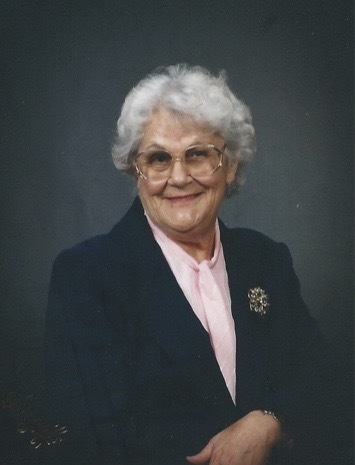 Maysville, MO….Mary Jane Johnson, age 90, was born February 10, 1927 the daughter of Lloyd and Margaret Ann (Williams) Lawrence and passed away March 26, 2017 in Cameron, Missouri. Mary was a member of Fairport Baptist Church. She loved gardening, flowers, embroidering, and most of all she loved her family. She is preceded in death by her parents; husband, Dearl Johnson; son, Jesse Dearl Johnson; three brothers, Everett, Edgar, and John Lawrence; and son-in-law, James E. Whitford. Survivors include two daughters, Joann Whitford, Maysville, MO and Joyce (Barry) Schooler, Ozark, MO; four grandchildren, Houston (Angie) & Hillary Schooler and Josh & Jessica Whitford; three great-grandchildren; one great-great-grandchild; and several nieces & nephews. We were so very sorry to learn of your mother’s death; we truly believe we never get too old to need our moms. Our thoughts and prayers are with you all during these difficult days. May all your special memories bring you comfort and peace. God bless you. Joann, we just saw this and are so sorry for your loss. She was a lovely lady and I know she will be missed. Thinking of you guys.